For all matters of love and romance, intimacy and sexuality, addictions and recovery. Some issues are difficult to talk to others about, even with a skilled therapist. I understand this, and have created the safest environment I can. There is no condemnation, shame, or guilt in this space. I’ve made myself available for phone therapy (your first session must be a face to face) and I have found it to be effective in some instances of sexual matters, as well as for persons who are unable to make it into my office. I want to create a space and time for you to become whole. I want you to experience the best life has to offer you. I am available to help in any way I can. I believe there is a purpose to each life, and we all need the opportunity to grow and shine. I love training others about addictive behavior, compulsions, love, romance and everything relational. When I train others I like it to be a dialogue, a fun and safe time of interaction and growth. To schedule a workshop, seminar or training please call 855-789-9987. Travel fees may be added. To schedule an office visit, you may call the office anytime (855-789-9987). Office Hours are 9:00 am to 6:00 pm Monday – Friday. Additional hours, and Saturday hours can be arranged if warranted. There is a 24-hour cancellation policy to avoid being charged the full session fee, unless prior arrangements have been made. Skype and tele-phonic sessions are available during office hours for those in distant and remote situations within the state of California. The same structure as an office consultation still apply. Marathon sessions can be arranged for those who travel long distances to get to my office location. If your situation is a life threatening emergency, please call 911 and get yourself the help you need. Dr. Jones offers a convenient online payment option. 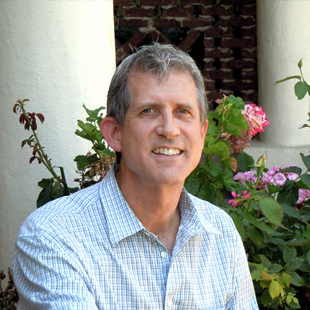 Dr. Raymond Jones is a Christian therapist providing both individual and family counseling in Covina, California in Los Angeles County and the surrounding areas. At the Aspen Center, you will be welcomed into a non-judgmental, conformable environment where you can reach a place of greater spiritual peace and fulfillment. As a Clinical Sexologist, Dr. Jones helps couples explore sacred sexuality and build stronger bonds through couples counseling, marital counseling and relationship counseling. As a Master Hypnotist, Dr. Jones also provides highly effective, yet gentle addiction cessation and/or substance abuse counseling/addiction counseling. Through Christian counseling and Christian family counseling, Dr. Jones helps families and individuals develop a more authentic connection with their spirituality, regardless of creed or denomination. Call today to learn how you can start living a more peaceful, fulfilling life.